It seems every article posted at Anandtech lately has been riddled with sentence fragments. "Especially now that DDR2 and DDR3 are closer in price" isn't a sentence. It has been proposed, or should I say down right leaked, that AMD is going to a 128bit register. Not in that we'll have a 128bit OS but it will be able to push 2 64bit registers once. This is what Bulldozer is rumored to be at. If so, then it is quite possible AMD has an answer for HT. Now once they go to 32nm, better gate efficiency, SSE5 ( if anyone actually puts out an APP for it ) and higher clocks with tripple/quad DDR3 we might see some real heavyweight cpu's that will make the i7 tremble. Larrabee derivative cores have 256bit registers and AVX extensions.. I imagine the successor to i7 will have a few of those as well. 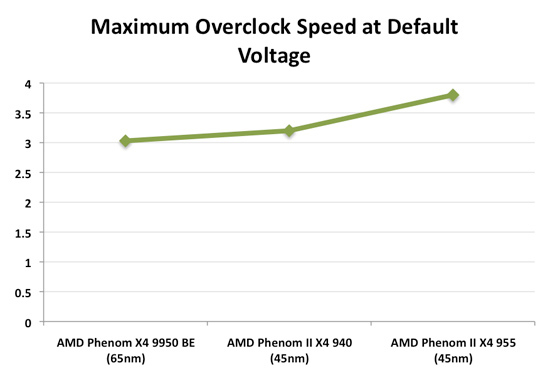 I hope amd drops the SSE5 bit and focuses on AVX, only reason not to is (1) pride (2) too late into bulldozer development. First is a bad reason and second would be a shame. Technically AVX is superior to SSE5. It doesn't matter that Larrabee has these things. Larrabee isn't going to be used much for integers and that is what is pushing the i7's death blows to AMD's tech right now. And AMD has been talking about Fusion for years. When they go to a smaller process they can put stream proc.s from the ATI tech on their chips if they want AVX type work to be done. The introduction into this article was really bad. I thought I had jumped into the middle of it. I backed out and tried again. You might have thought it was clever or different, but, maybe too different. Gratz to AMD's team on core speed achievement! From what I've seen, core speed is pretty much hitting the ceilling and bus pipes... the sky is limited! To my surprise, you guys as a technical aspect and knowledge, and failed to realize this?!?!?! 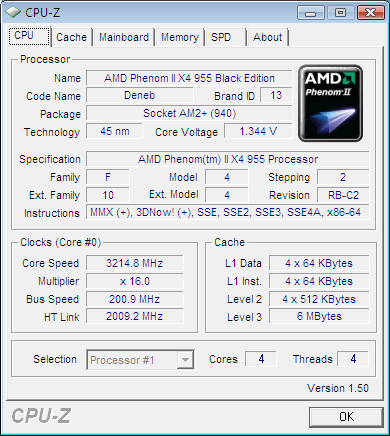 It's getting interesting more and more each day as AMD achieved their core speed milestone! The number of memory channels has severely limited potential for returns on investment. Going from single to dual-channel was good for up to 10% back in the day, and perhaps 15% now. Tri-channel i7 will probably end up being 2-5% faster than dual-channel i5, all other things being equal. The problem is that adding more memory channels can dramatically increase bandwidth, but it does nothing for latency - and in some cases can even make latency higher. 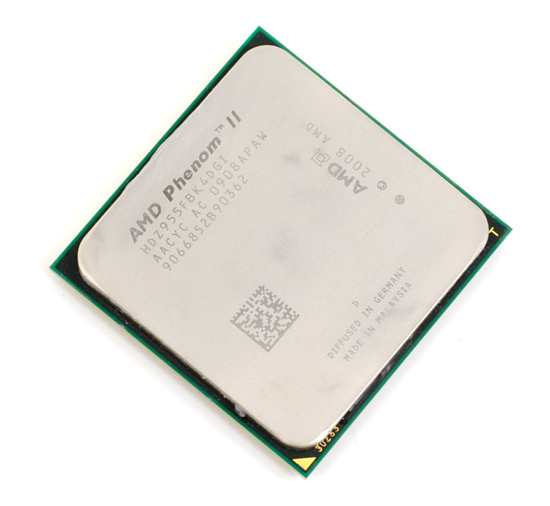 The big benefit for AMD in the Athlon 64 era wasn't the dual-channel chipset; it was the integrated memory controller. That has a major impact on latency, but it can only be done once. AMD and Intel have both done it now, so what's next? Let's put it this way: imagine a CPU running at 4GHz, so the clock cycle time is 250ps. Now let's take that same CPU with memory that has an average latency of 75ns - or 75000ps. That means any time the CPU has a cache miss and has to hit main memory, it loses 300 clock cycles! Of course, memory is accessed in chunks, so the CPU might load up a 256 byte cache line at a time. That means over a dual-channel 128-bit bus it needs to hit memory 16 times to load a whole cache line from memory. If you were to jump to a quad-channel memory interface, you could load a cache line into memory in half the time. The first access to memory is the one usually holding up the CPU, however, so the net benefit of doubling the channels/bandwidth is pretty small. Even with infinite bandwidth, the 300 CPU cycle latency to access main memory is still there. This might sound crazy, but I'm still thinking at some point they'll put SRAM back on the motherboard as a fourth level cache. You'd cut the access time dramatically, since you don't need a refresh cycle. You'd still be really slow compared to on board memory, but it would still be a lot better than DRAM. 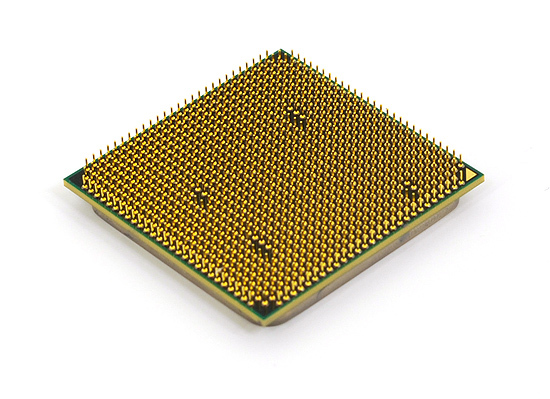 On-board memory controllers would help this, and also the relatively low clock speeds of processors compared to bus speeds would help some as well (compared to the Pentium 4 days, where the processors ran at higher clock speeds, and the memory bus at lower). It wouldn't add too much cost either. For Intel it might not make much sense, but for AMD, since they can't make a competitive processor, they can give it additional help in other areas. Add a 128 MB cache on the motherboard, and you'd beat Intel processors in some benchmarks, and in others you'd close the game some. The motherboards would still be cheaper than the overpriced i7 ones. It is good that the pricepoint is compared for all platforms, but i suggest you check the overall price again, in your final words you state it is a small price difference to go to i7... but check the board prices again on newegg. that is more then 10-70$ not to mention the am2+ compatibility and way cheaper boards although off course you lack a bit of features, but then again how much do you really need?